MILWAUKEE — As connectivity and computing power continues to spread throughout industrial enterprises, the availability of data has revolutionized how companies solve issues and adapt to changes. But producers continue to be challenged by the complexity of making data useful at the right place and time They also lack in-house expertise for data management from the device through the cloud. Rockwell Automation has a stated goal of enabling advanced analytics for manufacturing. Project Scio is the next step along that continuum. To make decisions when and where they matter most, new capabilities offered through Project Scio reduce hurdles to unleashing information. These capabilities open up access to ad-hoc analytics and performs advanced analysis by pulling structured and unstructured data from virtually any existing source in the enterprise. Project Scio can also intelligently fuse related data, delivering analytics in intuitive dashboards – called storyboards – that users can share and view. Users then have the ability to perform self-serve drill downs to make better decisions, dramatically reducing the time to value. Device Auto-Discovery: Manually mapping software to each plant-floor device can be a time-consuming and error-prone process. Project Scio can auto-discover Rockwell Automation devices and tags, as well as third-party device data, to save time and help reduce risk. Additionally, the auto-discovery process gives users access to more detailed information than is typically available through manual mapping, such as device name, line location and plant location. Leave Isolated Analytics Behind: Rather than leave data at its source and take database snapshots, Project Scio brings data into a centralized location and can continually refresh that data. Additionally, connections to data sources only need to be established once. This connection allows users to create custom analytics and refresh them at their preferred rate without the support of a data scientist. Flexible Machine Learning (ML): Use the right ML algorithm for the right use case. Project Scio is configurable to support many industry-leading algorithms, including SparkML, MLLib and Python. Closed-Looped Analytics:Using either ML or predefined settings, Project Scio includes capabilities that can monitor operations and automatically trigger control adjustments if processes start to fall outside allowable parameters. This can help users optimize control, improve product quality and consistency, and reduce scrap and waste. Open Architecture: Industrial producers cannot be expected to rip and replace all their legacy control and information systems before gaining value from analytics. These scalable and open-architecture capabilities are designed to be extended to a full ecosystem of IIoT data sources. The quick connection to the full range of systems that feed data into a Connected Enterprise includes controllers, MES software and edge devices. In addition to these Information Solutions, Rockwell Automation offers a full range of Connected Services which helps provide customers the ability to ensure network integrity, security, infrastructure design and maintenance, and remote monitoring of equipment including predictive maintenance. These services can help customers with every aspect of their Connected Enterprise journey, including developing an IIoT infrastructure and strategy, and providing remote monitoring and analytics. 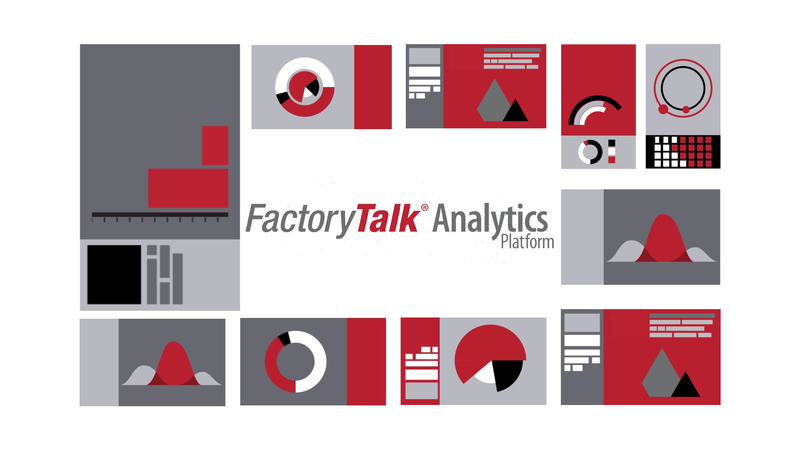 FactoryTalk is a trademark of Rockwell Automation Inc.